Vulvovaginitis encompasses few conditions, which may be infectious or inflammatory. The common practice of symptomatic, empiric approach to management of vulvovaginitis is very limited. A significant number of women will not fit the “traditional” diagnosis of candidiasis, bacterial vaginosis, or trichomoniasis. 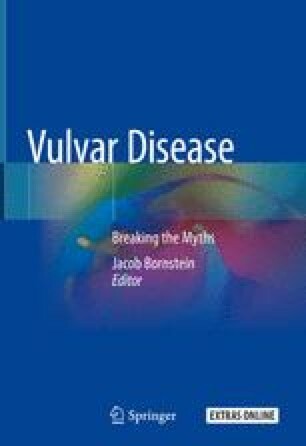 These conditions are discussed, as well as desquamative inflammatory vaginitis, group B streptococcus (GBS) vaginitis, leptothrix, cytolytic vaginosis, lactobacillosis, vaginal atrophy and the newer entity of aerobic vaginitis. Martin Lopez JE. Candidiasis (vulvovaginal). BMJ Clin Evid. 2015. pii: 0815. https://www.ncbi.nlm.nih.gov/pubmed/25775428. Ventolini G. Vaginal leptothrix: from fungi to lactobacillosis. J Genit Syst Disord. 2015;4. https://www.scitechnol.com/vaginal-leptothrix-from-fungi-to-lactobacillosis-oPa9.php?article_id=2738.